Proagrica has produced a White Paper report which sets out how its technology supports evidence-based production and the impact that will have on the world’s ability to feed the world sustainably. 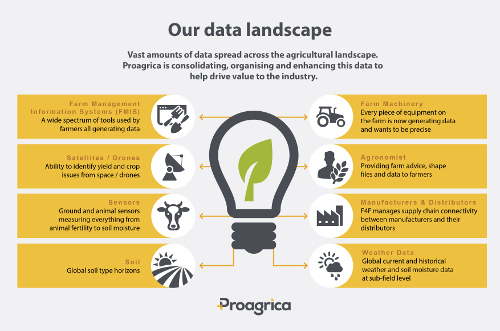 Driven by the power of big data to drive insights at farm level, solutions such as Proagrica will significantly advance SDG 2.4 to ensure sustainable food production systems and implement resilient agricultural practices that increase productivity and production. This comprehensive study examines the links between SDG 2 zero hunger and SDG 4 quality education by examining the impacts of parental education on child nutrition. It covers more than 350,000 preschool children from 56 developing countries and shows that impacts are larger for mothers and for secondary education than primary. It speculates that education might have more impact on the nutritional status of the next generation if school curricula focused on directly improving health and nutritional knowledge of future parents. The study addresses how food production can continue using reduced water whilst at the same time bring about improved health. The growing population in India will have an impact on water availability to be used in agriculture and so the study looks at dietary patterns which use less water. They find important synergies in diets with lower water use and positive health effects. This is in-line with the achievement of SDG 2, its related targets and to a further extent SDG 6. This study has investigated how smallholder farmers contribute to our global food supply. They looked at where farms are located, what type of commodities are produced (plants, livestock’s or fish) from farms of different sizes and their nutrition implications. They found that small farms produce 75–100% of all cereal in North America and South America, Australia, and New Zealand , livestock, and fruit in these regions, whereas small farms (<20 ha) found in sub-Saharan Africa, South Asia, southeast Asia, and China produce 75% of food commodities globally. This is in line with the attainment of SDG 2. This is a timely article with potential to tackle multiple fronts of sustainable development with regards to agricultural intensification and green revolution which are currently taking precedence in most developing countries as a means of boosting productivity and ensuring food security. Given the high dependence of the modern global food production system on the continuous supply of commercial phosphorus (P) fertilizers, this study presents a detailed, methodical, and up to date assessment of the key sustainability challenges for the global P resource, and highlights their implications for global food security. This article addresses SDG 2; SDG 12; SDG 14 and SDG 15. Aquaponics is an innovative smart and sustainable production system for integrating aquaculture with hydroponic vegetable crops, that can play a crucial role in the future of environmental and socio-economic sustainability in smart cities. Aquaponics can play a key role enabling local production with short supply chains in the cities. This contributes to sustainable production addressed in SDG 12 as well as the connection to SDG 2. 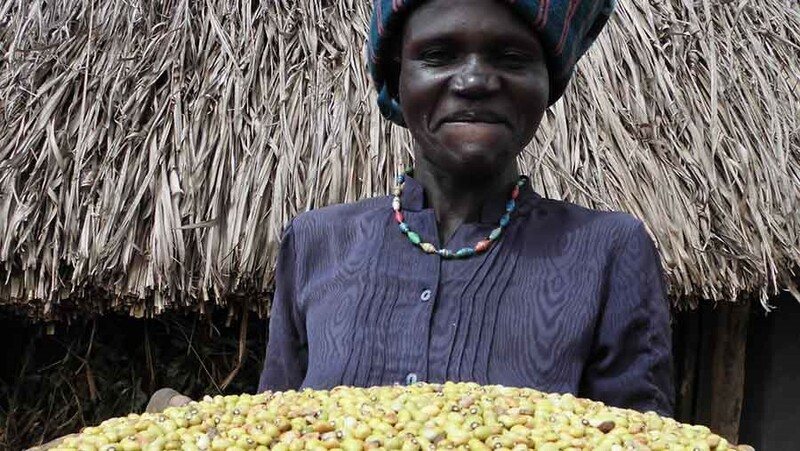 Lucy Ajok, a 34 year old Ugandan farmer, gives Farmers Weekly an insight into her rural life. Lucy is a single mother of five children and lives on a three-acre farm practising mixed farming. Farming families dependent on family labour, like Lucy's, are typically the poorest in Uganda, and often have the additional challenge of HIV. This interview shares some of the challenges faced in achieving SDG 1 and SDG 2.